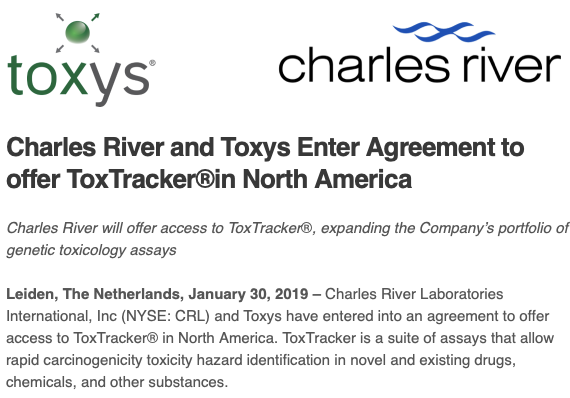 Leiden, the Netherlands, January 30, 2019 – Charles River Laboratories International, Inc (NYSE: CRL) and Toxys have entered into an agreement to offer access to ToxTracker® in North America. ToxTracker is a suite of assays that allow rapid carcinogenicity toxicity hazard identification in novel and existing drugs, chemicals, and other substances. The assay identifies a chemical’s increased cancer risk through both traditional markers, such as DNA damage, and alternative Modes-of-Action, including oxidative stress, protein misfolding, and general cellular stress. For Charles River’s clients, utilization of the ToxTracker assay can help mitigate risk of regulatory rejection by demonstrating the exact mechanism of genotoxicity. ToxTracker has been extensively validated using reference compound libraries recommended by the United States Environmental Protection Agency’s Toxicity Forecaster (ToxCast) and the European Union Reference Laboratory for alternatives to animal testing (EURL ECVAM). 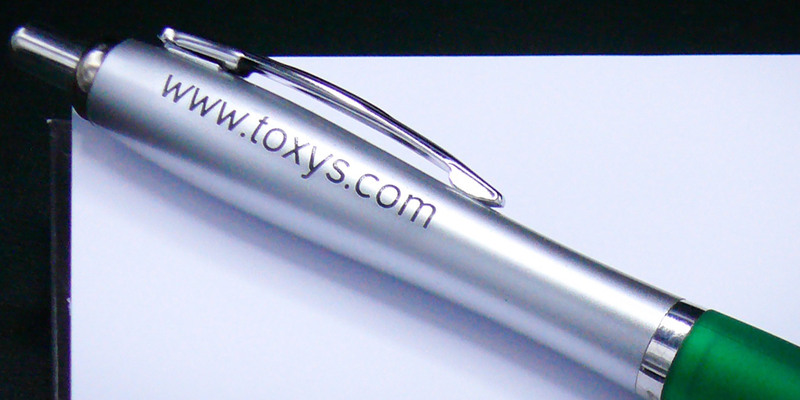 Through this validation, ToxTracker has shown a very high sensitivity (94%) and specificity (95%) for the detection of genotoxic compounds.Additionally, ToxTracker’s versatility in identifying unsafe compounds provides applications across the pharmaceutical, agrochemical and consumer product industries.